1. 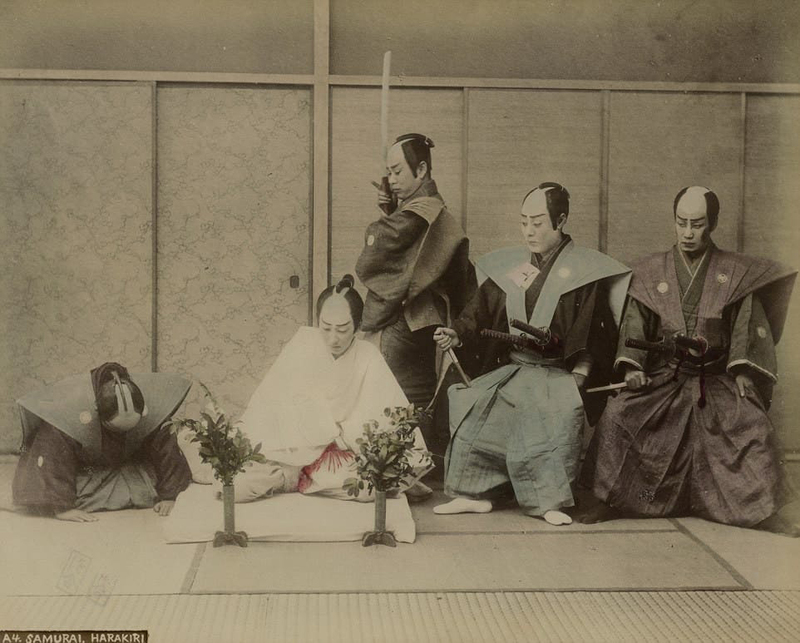 In 1868, a French captain observing the execution of 20 Samurai by seppuku (ritual suicide by disembowelment) was so horrified by the act that he gave pardons to 9 of the remaining samurai. Thankfully he spared their life! 2. An African slave became the first foreigner Samurai. Yasuke, a 16th century African who traveled to Japan as a slave, caused such a sensation that a powerful warlord wished to see him. He thought his black skin was painted and ordered it to be scrubbed. However, they became friends and Yasuke was later given the prestigious rank of Samurai. 3. The Samurai wore a cloak that inflated when the wearer was riding a horse, which protected him from incoming arrows from behind. 4. Samurai would burn incense in their helmets so their heads would smell sweet if decapitated.